Democrat Stacey Abrams and Republican Brian Kemp are still battling for the state's governorship a week after Election Day. Multiple people, including Democratic state Sen. Nikema Williams, were arrested Tuesday during a protest at Georgia's Capitol building in Atlanta, where chants of "count every vote" broke out among demonstrators, law enforcement said. Protesters were calling for the uncounted ballots from last week's midterm election to be tallied as the gubernatorial race between Republican Brian Kemp and Democrat Stacey Abrams remains too close to call. Kemp holds a lead over Abrams of less than 58,000 votes as of Tuesday. Georgia State Patrol told NBC News Tuesday that 15 protesters were arrested for unlawfully disrupting "orderly conduct of official business." State patrol said protesters were taken to the Fulton County Jail. Police later announced that Williams was additionally charged with misdemeanor obstruction of justice. 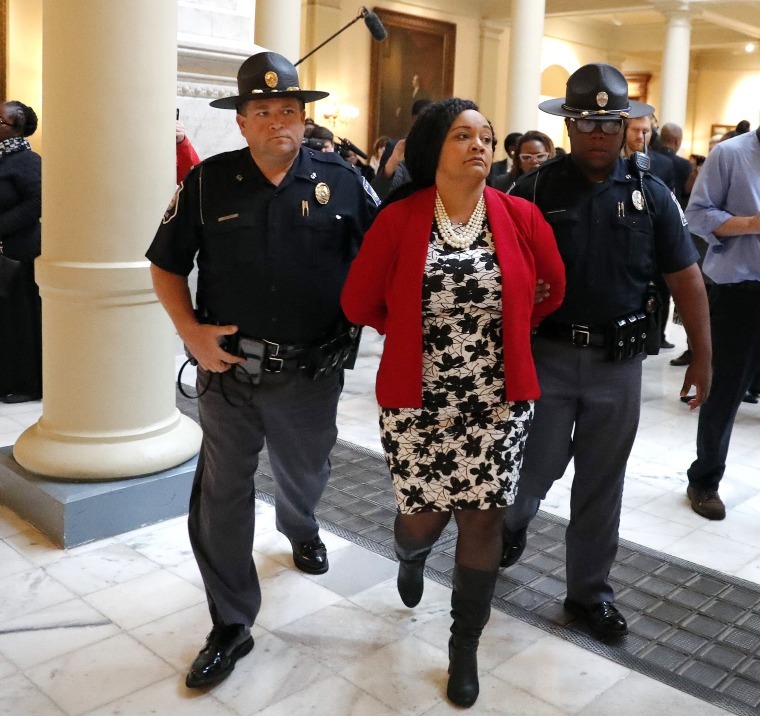 Williams told The Washington Post that she was arrested "because I refused to leave the floor of this building where I'm a state senator," adding the protest was peaceful. 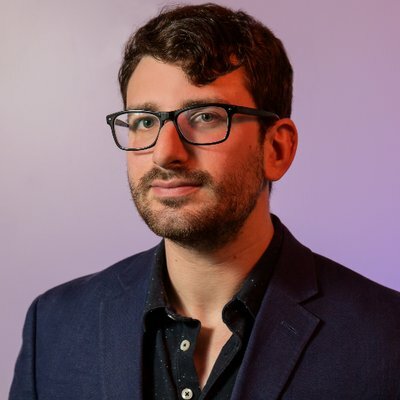 As the contest between Abrams and Kemp continues a week after Election Day, Georgia officials continue to tally uncounted ballots in the race. Earlier Tuesday, a federal judge ordered Georgia to guard against the improper rejection of provisional ballots and to wait until Friday to certify the state's election results. Abrams hopes to narrow Kemp's lead to force a mandatory recount or a runoff — the higher of the two hurdles. State law requires a candidate to have more than 50 percent of the vote in order to win outright, and Kemp currently has 50.3 percent of the overall vote. Abrams has not conceded the race, despite pressure from Kemp, who has declared victory.